Various influences determine the result of the honing The characteristics of a honing stone as well as a fine tuning of all the different parameters make it possible to achieve the required result. In addition to high quality in manufacturing, both a short processing time and a long life of the stones can be achieved. The selection of the appropriate abrasive is the task of highly experienced experts. 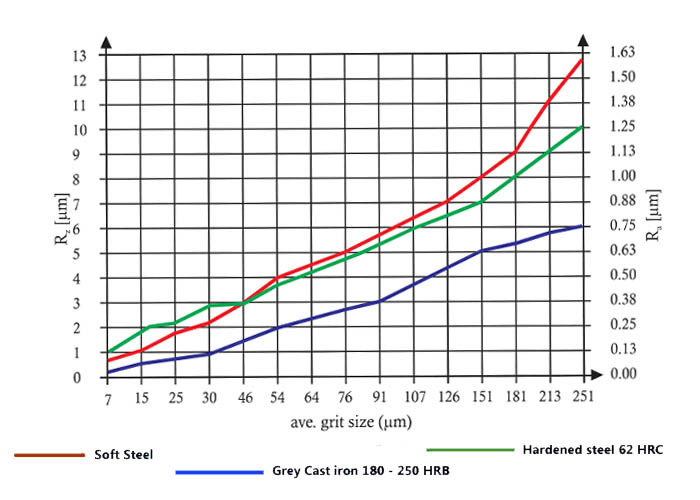 The grit size generally determines the achievable surface profile and is also responsible for the stock removal capacity of the honing stone. The bigger the grit size, the rougher the surface finish and higher the stock removal rate will be. Depending upon the process parameters for the diamond synthesis, various types of crystals are available. 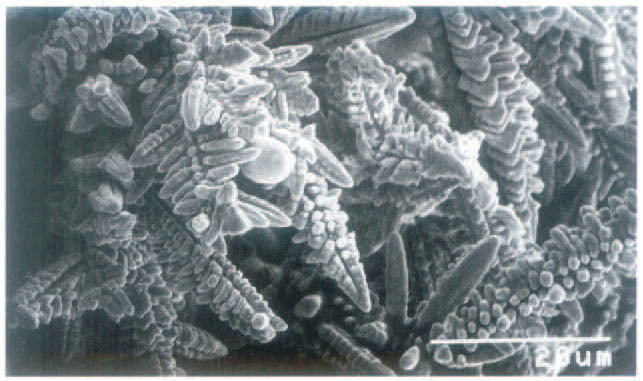 These differ in colour, hardness, form, structure and stability. 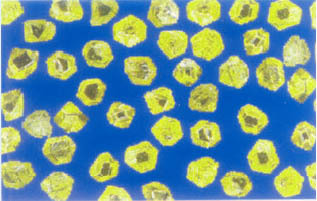 These characteristics also determine the cutting behavior of the respective crystal. 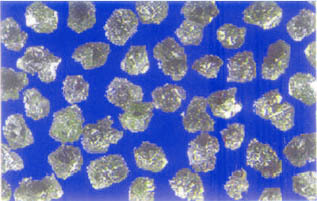 Diamond crystals are generally preferred for machining cast iron and soft steel whereas CBN crystals are used for the machining of hardened or high Alloy steel. The firm hold of the cutting crystal, the stability of shape, hardness and the wear performance characterize the bond. The hardness, toughness and brittleness of the bond is determined by the material which is to be honed. Basically metallic bonds with different alloying constituents are used. In addition to this, ceramic or synthetic bonds can also be used. t describes the number of carats of Diamond or Cubic Boron Nitride (CBN) crystal per cm3 of abrasive layer. Basic rule: the smaller the grit size, the lower the concentration. Abrasive layer with a low concentration are also used with “coarse” grit sizes if this is required for the machining task.